Death darkens every door sooner or later. Pain persistently pursues as we make our way through this life. We lose jobs, health, spouses, children, friends, churches. We’re crushed by harsh unkind people that are sometimes the closest. We are abandoned, rejected, neglected, abused, alone. Ash of the aftermath covers our tear-streaked faces from all of the bad choices those we’re tied to make. It’s one thing to pay for the sins we’ve committed, but to painfully pay for the sins of another is almost too much. We try to do the right thing, to have the faith we are supposed to, but our strength fails us. What would cause anyone in their right minds to see joy in any of these things? And so, how is this a good thing again? Is there a bogus unwritten rule somewhere that says we won’t go through heartache after we’ve been saved? We seem to think that our problems will magically disappear. But nothing could be further from the truth. In most cases, things get worse before they ever get better. Because now, we’re not only battling all of hell, add to that our carnal-fleshly-selfish-what-about-me-mindsets that are still lingering and things get disastrous. It’s easy to have faith for others because we are not feeling the full weight of the trial they are experiencing. But when all hell breaks loose in our lives, we quickly fall off the spiritual high horse we’re riding. We decide we are exceptions to God’s goodness rather than the rule; that we could quite possibly be the only person on earth going through this particular situation. So God must have overlooked us somehow. When I met my future husband 8 years ago, I dreamt of a perfect Utopia. He was the one I’d waited for for so long. And after our blissful wedding day, I just knew we’d blow up the gates of hell on mission for God. Yeah, well, that’s not exactly how it went down. I’m going to be brutally honest here, but it’s because I want you to see something. 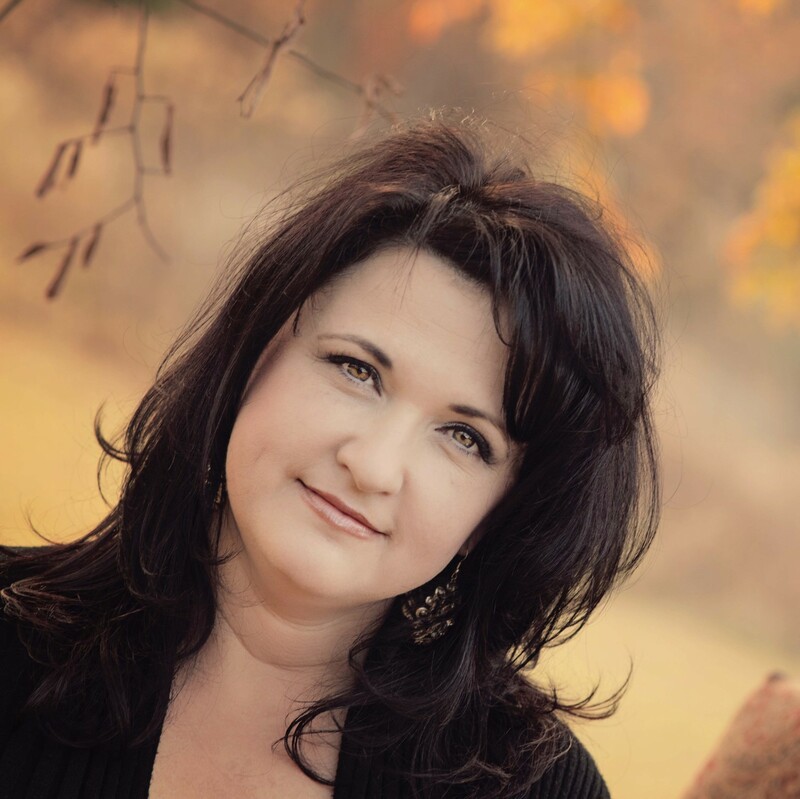 There were long barren seasons in my marriage that were so unfathomably bad that I prayed some pretty drastic things. Divorce wasn’t an option, but death certainly was. I prayed that God would take me out. Seriously. I really wanted to die, but if He wasn’t going to take me, then He needed to take my husband out. Now don’t judge me. I know some of you wouldn’t dare say something like that. It’s so “unchristian”. And even though I knew this was the man God told me to marry, I just couldn’t piece together why it was so hard. I tried everything to make it work. And when I mean make it work, I mean I tried controlling everything. Funny thing about control is that we really can’t control anything but ourselves, and I wasn’t doing such a great job of that. Now here I am 7 years later, and I have died by degrees to some of the darkest areas of my soul and I can truly say…I am a better person for marrying him and for walking this out. Through weeping and gnashing of teeth, I intimately saw the face of God peering at me through my despair, drawing me with soft, gentle, loving whispers. He taught me how to be like Him through His love. He gave me eyes to see the treasure that was locked up inside me: the gentle, patient, find-joy-even-when-I-don’t-get-my-way kind of treasure. 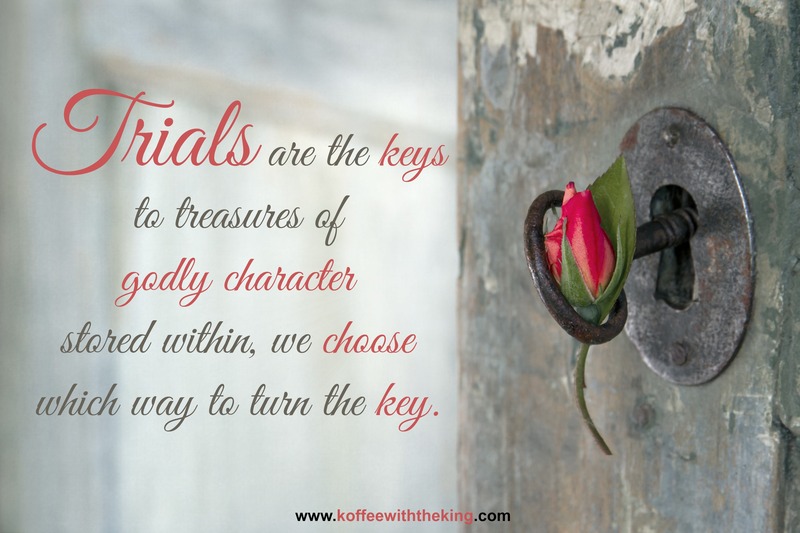 Taught me that trials are keys to treasures of godly character stored within, we choose which way to turn the key. And I choose to unlock it and let the glory of God shine through me. I’ve learned this lesson on so many different fronts. But it’s all the same. Consider everything joy that comes your way especially the hard stuff. It has the potential to make you stronger, to increase your faith and to be resolute in your walk. Remember that the brokenhearted see the face of God. That’s who He came for. Don’t let your trial be for nothing. See it for the potential it has…to make you more like Him by spending more time with Him. Spend the next 20 to 30 minutes letting God renew your mind. Every hardship that you are facing right now, lay before Him. Ask Him for understanding in it. Ask Him for grace to persevere. Even if you receive limited understanding in what you are going through, resolve to the fact that God is good. PERIOD. Sometimes we can’t see clearly when we are in the midst of such heartache, so God may give you one bite of truth at a time. Write it down, believe it, and trust Him. This trial won’t last forever. You will make it through this, I promise! Over the next week, study the following passages to learn more about persevering through adversity and the joy that awaits you on the other side. It’s so worth the price!